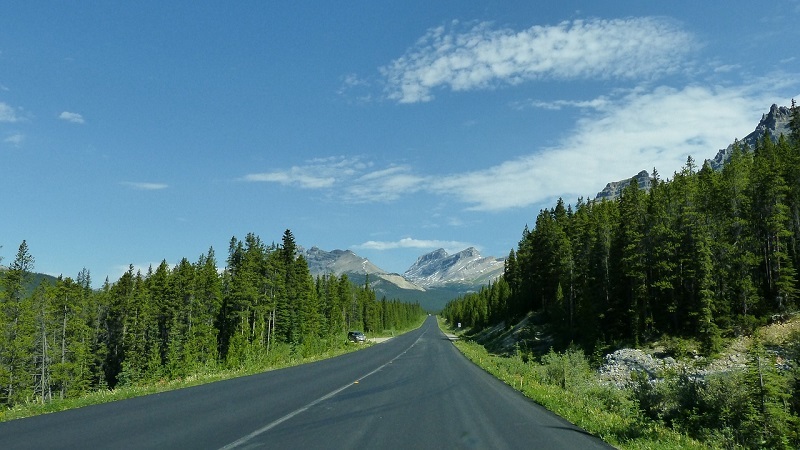 Our Canadian Rocky Mountains scenic drive trip takes us all the way from Mayerthorpe northwest of Edmonton, to Calgary. We pass through spectacular scenery we are at leisure to stop and admire. The surface of the road is good all the way along the 400-mile (640-kilometre) ‘Cowboy Trail’ as folk call it. In fact, this is a near perfect holiday for campervan and motorhome renters. Moreover, there is no need at all for a 4×4. The route soon lives up to its name with cowboys roping cattle and rodeos common in small towns. Rocky Mountain is a great place to stop over as they have an excellent historic museum. It is also possible to park the campervan, and canoe in the wake of pioneers down the North Saskatchewan River. The next morning we head through bear country to Jasper with its eerie abandoned coalmines. Next up is Edson, and then Hinton where over 1,000 horses roam free in wooded foothills. We drive through game-rich countryside to Pyramid Lake with two glittering glacial lakes nearby. The remains of the vast ice sheet that once covered most of Canada awe us as we cross the Columbia Icefield. The Icefields Parkway is a great drive but we are grateful for the powerful heater in the rental RV. We admire the welcoming views of two lakes, and the peak of Mount Eisenhower at 9,389 feet (2,687 meters) high as we near Banff. After passing through Banff we encounter the Sulphur Mountain, and the Cave and Basin Hot springs. What a contrast to the glacial lakes we drove through the previous day. They remind us once again of the loveliness, and the awesome power of nature. We travel on, happy wanderers in our rental motorhome. We leave the high mountains behind us as we enter true recreation territory. Here are opportunities for day hikes, recreational mountain biking, and fishing in summer. Not forgetting snowmobiling and snowshoeing in winter too. Once we reach Longview and Turner Valley, we are in the true heartland of the Cowboy Trail. There is a great diversion to the Bar U Ranch near Longview. We explore historic cowboy relics in the place where they belong. Then we travel on to the end of the trail at Cardston, where they have a huge collection of vintage buggies, carriages, and wagons. We reflect on how warm and comfortable our recreation rental is by comparison. 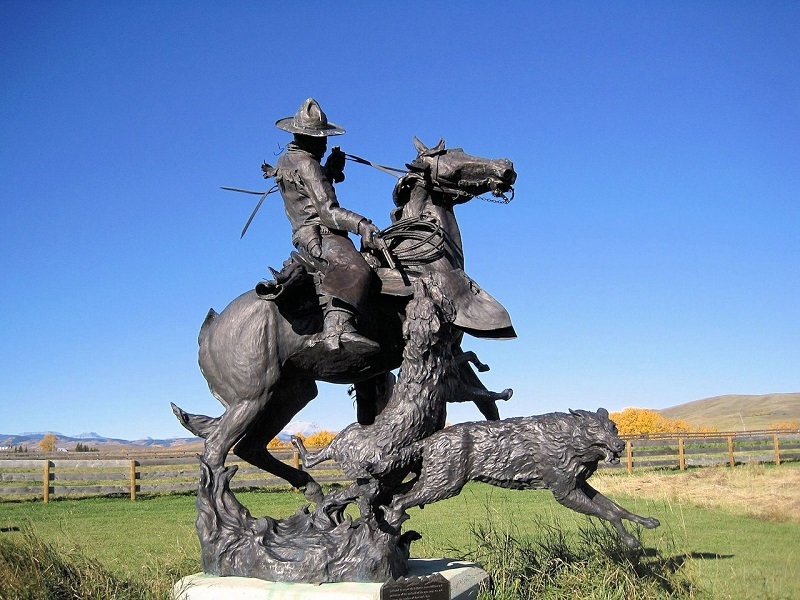 The going is easier now, as we head for the original North West Mountie outpost, Fort Macleod established 1874. 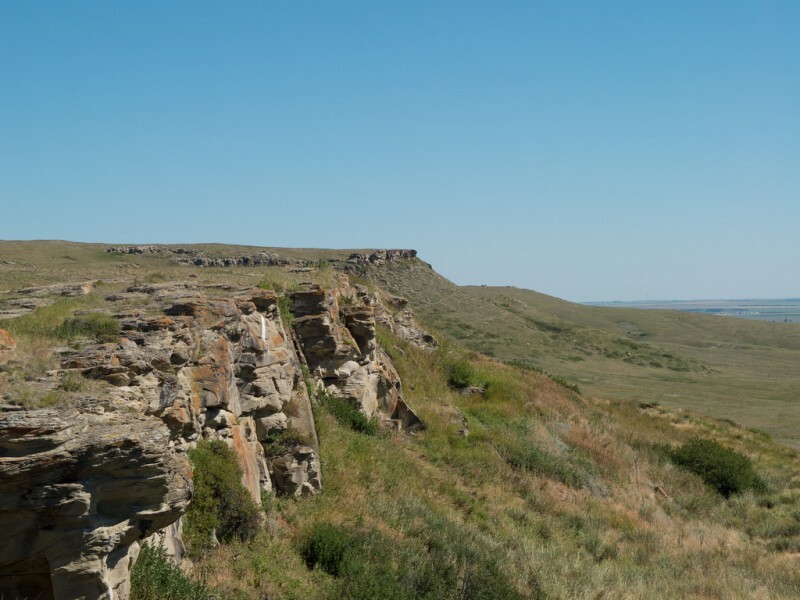 The historic exhibits are great, but the quaintly named Head-Smashed-In Buffalo Jump especially intrigues us. This is where aboriginal people once chased their favourite meal over a cliff. Then it is time to head for our final destination Calgary, 400 miles (640 kilometres) away from where we started in Mayerthorpe. As we ponder over our journey and head for the motorhome, campervan, and RV vehicle drop off, we promise ourselves we will definitely do this again.